SAN FRANCISCO, August 30, (THEWILL) – The Federal Government has signed a Memorandum of Understanding (MoU) with the British Government on the modalities for the return of Nigerian stolen assets. The Attorney-General of the Federation, Mr. Abubakar Malami, signed on behalf of the Federal Government in Abuja on Tuesday. Malami said that the MoU reflected the desire and willingness of both countries to continue cooperation and mutual support. Malami said that this was in the responsible and transparent return of all recovered assets. He outlined the objectives of the MoU to include the fact that the processes of returning stolen assets was a partnership recognising the interest of both countries and based on mutual understanding, confidence and trust. “That both countries recognised that they have a mutual interest in ensuring that returned assets are not at risk of being misappropriated again. “And that both countries recognised they have obligations toward their own citizens for providing such assurances. He gave the assurance to the international community that all funds recovered would be judiciously utilised for projects that would benefit the poorest segment of the Nigerian society. Earlier, leader of the UK delegation, British Minister of State for Immigration, Robert Goodwill, said that the MoU provided the mechanism by which monies could be returned. Goodwill, who is also a member of the British Parliament, noted that there was no safe place for stolen assets in the UK. “Our ability to recover and return stolen assets should send a clear message to all who may seek to habour such assets that there is no safe haven in the U.K,” he said. 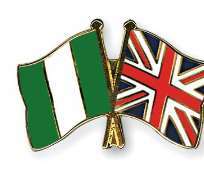 According to him, the British government is committed to the return of all funds looted from the Nigerian State. “We are keen to do this as soon as the necessary legal process allow. He said that they were as committed as Nigeria in ensuring that beneficial ownership of assets was made available to relevant authorities so they know who the real owners of assets held in the UK are. “Forty jurisdictions, including British Overseas Territories and Crown Dependencies announced that they will automatically share beneficial ownership information relating to companies, trusts, foundations, Shell companies and other relevant entities and legal arrangements. The signing of the MoU is a follow up to the agreement reached at the London anti-corruption summit in May.